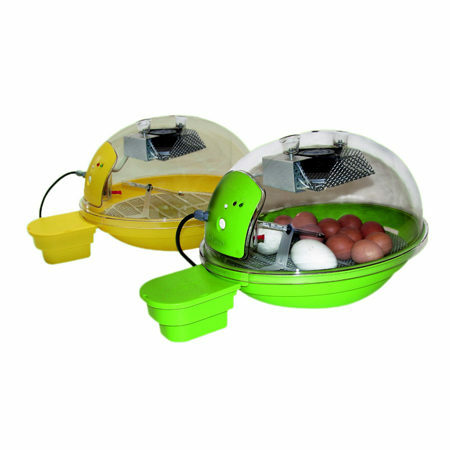 Our range of high quality poultry incubators designed to suit your requirements. Fan-assisted air flow, automatic turning, superb visibility dome lid, analogue temperature control, glass thermometer. Made in EU. Capacity – 18-20 chicken, 27 pheasant/ guinea fowl, 45 partridge/ quail, 12 goose. Colours – May vary depending on manufacture availability. Note: Please allow 7-10 working days for delivery.